Beautiful Weather For Mid March. 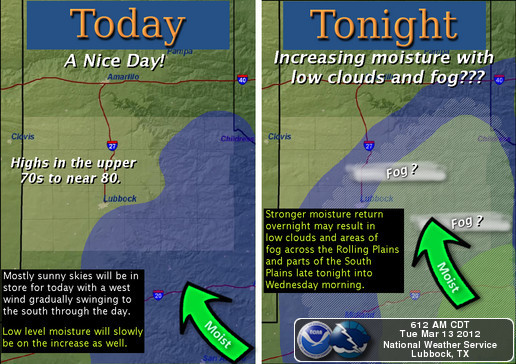 Map Is Courtesy Of NWS Midland. Mostly sunny skies with afternoon highs in the 80's this week. That pretty much sums it up for SE NM. It does not get much better than this for mid-March so enjoy it while it lasts. 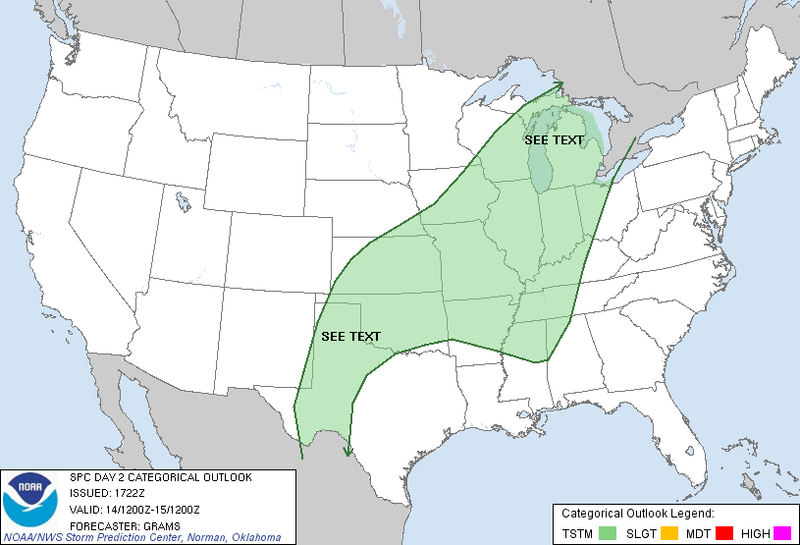 Day 2 Severe Weather Outlook Valid Wed March 14, 2012. The dryline will slosh in and out of the area this week, but does not appear at this time that it will become very active until later this weekend, or early next week as the powerful storm to our west approaches. 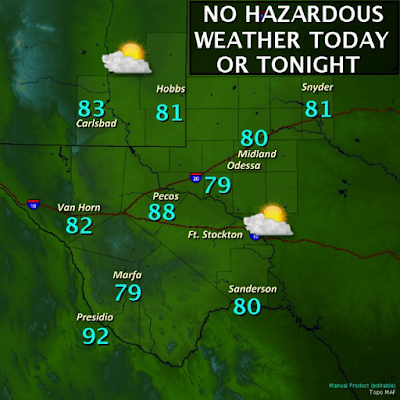 There is a slight risk of t-storms Wednesday along and east of the dryline across parts of WTX, and perhaps the far southeastern corner of NM. 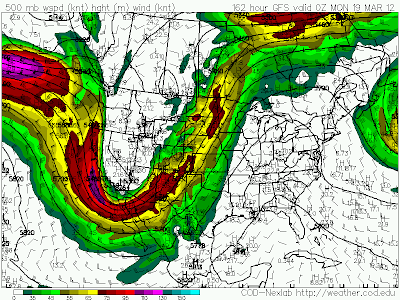 Powerful Spring Storm Next Week. 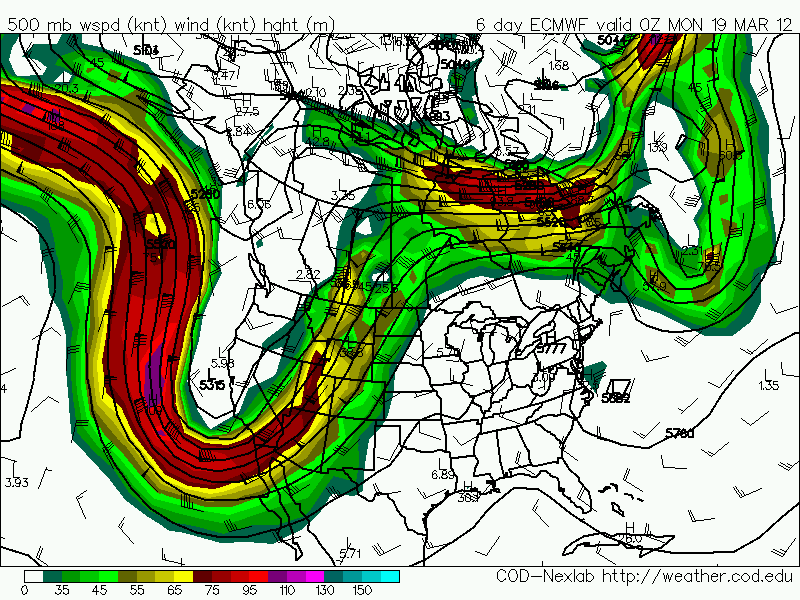 ECMWF 500 MB Forecast At 6 PM MDT Sun March 18, 2012. 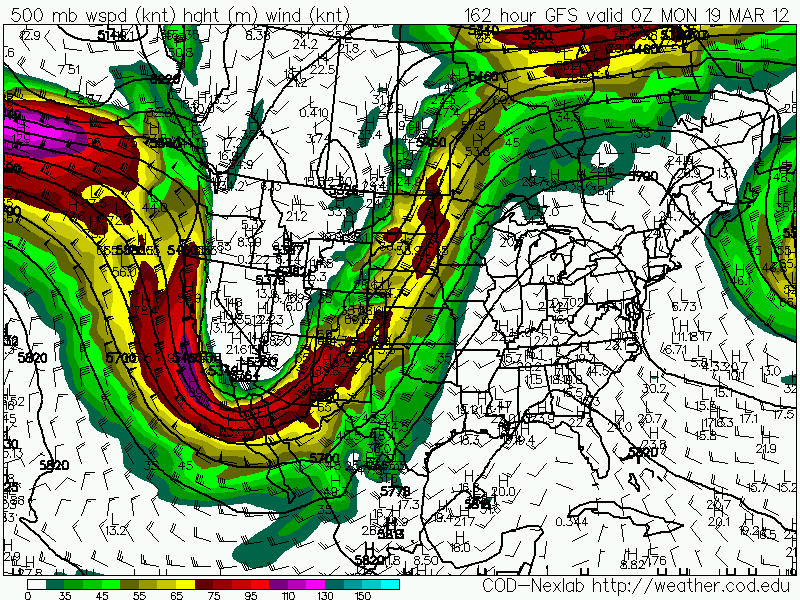 GFS 500 MB Forecast At 6 PM MDT Sun March 18, 2012. Fire Weather Outlook For Sun March 18, 2012. 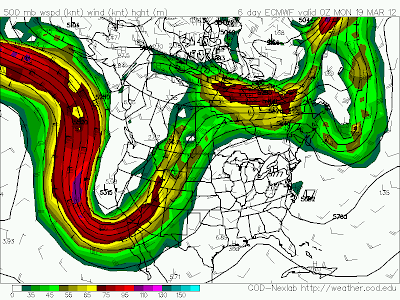 Cape Forecast At 6 PM MDT Mon Mar 19, 2012. 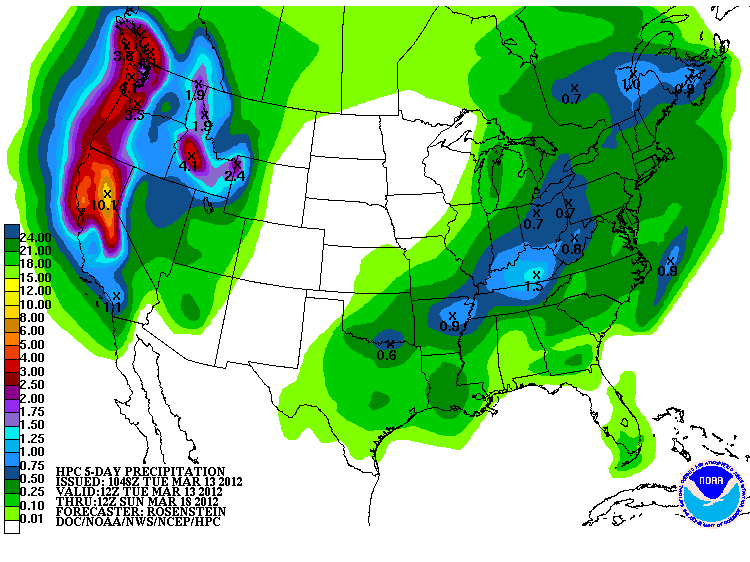 I'm still watching the model forecasts of a powerful spring storm set to plow into the Pacific Northwest this week, and then digging southward into the Desert Southwest by late this weekend. A deep, and cold closed mid-upper level low looks like it will take its time wobbling eastward across New Mexico early next week into the middle of the week. A combination of high winds, blowing dust, critically dangerous fire weather conditions, lowland rains, and mountain snows, all will likely affect the state late this weekend into the middle of next week. Severe t-storms may affect parts of the area as well, especially later this weekend into early next week as the western storm inches closer, and an increase of Gulf of Mexico moisture streams northwestward east of the dryline.